The federal government yesterday announced the cancellation of the post Unified Tertiary Matriculation Examinations (UTME) into the nation’s institutions of higher learning. Post UTME is usually conducted by universities for candidates after they have passed the Unified Tertiary Matriculation Examinations. Making the pronouncement yesterday in Abuja to declare open the 2016 combined policy meeting on admission to universities, polytechnics and other higher institutions in Nigeria, the Minister of Education , Malam Adamu Adamu, said the federal government has confidence in the examinations conducted by the Joint Admissions and Matriculation Board, adding that there is no need for other examinations to be conducted by universities after JAMB exams. Adamu maintained that since JAMB is qualified enough to conduct tests, there’s no need for tertiary institutions to conduct test again for students to gain admission. Meanwhile, delegates from different higher institutions across the country who converged on Abuja yesterday at the Combined Policy meeting, rounded off their debate over the cut off marks for Year 2016 Admissions into the tertiary institutions, with a cut-off point at 180. However, the delegates maintained that the schools should not rule out screening of candidates ,that screening of is still vital to gaining entrance into the universities. They argued that in the quest for knowledge, educational standard should not be lowered in the country. The JAMB registrar said re- distribution is already ongoing because it is embedded in the registration procedure. He reiterated the minister of Education’s pronouncement saying, “for post UTME ,no more writing of post UTME anymore but institutions will screen their candidates. However, touts protested at the venue of the 2016 Combined Policy meeting on Thursday. They carried placards with various inscriptions, some of which called on the federal government, National Assembly and other major stakeholders to put an end to the conduct of the post UTME exams. 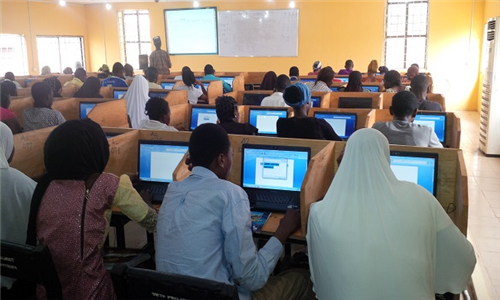 Some also called on the Economic Financial Crimes Commission (EFCC) and the ICPC to probe university administrators on the utilisation of the post UTME.